Soil types make an impact. The soil composition of the container’s site will impact whether you need a foundation. In Texas and neighboring Southern states, the soil tends to contain a lot of clay. Thus, containers placed directly on the ground tend to sink in the long term (think months to years). However, a container placed on a hard substrate like granite may never need a foundation or a gravel pad, while a container in a bayou may always require concrete pilings. With that in mind, here is what has generally worked for our customers. Scenario 1: You have a single unit container structure that you’re going to relocate often. Verdict: You can place the container anywhere that’s flat (less than a 2 degree grade), dry and level, including bare earth and parking lots. Construction companies often keep their storage containers on the move. 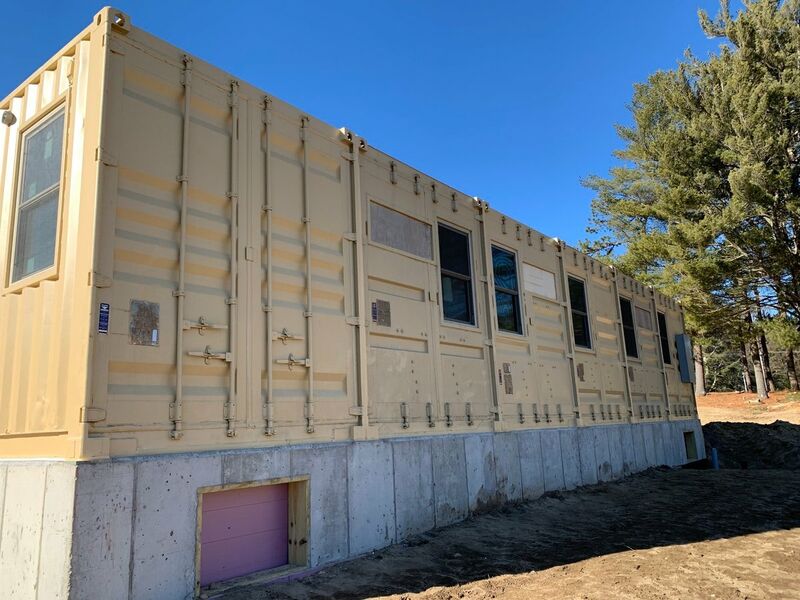 The steel floors of the containers enable them to save thousands of dollars and hours of hassle because they can place their onsite storage containers in a parking lot or the bare earth. Scenario 2: You have a single unit container structure that’s going to spend long periods of time (1 month+) in one place. Verdict: The container may be able to go on bare earth but consider creating a gravel pad. If the container is going to be spending a long period of time on bare earth, there’s more risk of the container settling into an unlevel position over time. If the container is unlevel, the doors will become difficult to open. Keeping the container level also becomes important if you have plumbing. Waste water runs downhill, which is why plumbing lines have slope. A crooked container can tip plumbing lines to the wrong angle, and you’ll run into an odorous problem. You can place the container on bare earth but check it every month or so. If the container appears to be sinking or tilting, you should consider moving the container to a gravel pad. Preparing a simple, three-inch deep gravel pad will facilitate drainage under the container and level out irregularities in the ground. Scenario 3: You have a multi-unit container structure. Verdict: Pour a foundation or create a pier system. If you have several containers joined into a larger building, a foundation or piers become mandatory. You don’t want one container to start drifting off the larger structure because the soil beneath gave way. Consult a soil specialist to assess how deep your foundation or piers should be, keeping in mind that the weight will sit exclusively on the corner castings. Summary: Keep your container level. The running theme here is to keep your container structure level. 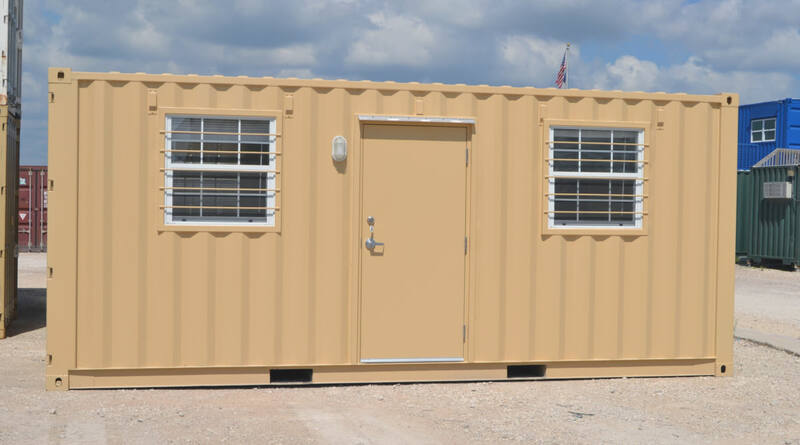 Because lop-sided containers lead to sticky doors and plumbing problems, a level container will ensure you and your things are protected for the life of the container. We’re happy to consult with you on your container project. Contact us at 877-704-0177 or sales@FalconStructures.com.